Fortunately or unfortunately, depending on your point of view, we haven’t had to worry about rising interest rates for nearly a decade. Monetary policy, including quantitative easing, forced interest rates to near zero for a period of time. Clients benefited from the falling rates through capital gains growth that historically has not been a large part of bond returns. With today’s rising interest rates, financial professionals need to offer strategies that many clients haven’t thought of for several years. Some will seem foreign to clients, as well as financial professionals, due to the time lag since they have been last deployed. We can’t chase yield. In my opinion, this has always been a staple of good, quality advice. However, we tend to chase the highest rates in any vehicle. Pressure on adhering to best interest standards makes us think that the highest interest rate is only the right thing to do. I think we should make sure there is balance with long-term stability of returns, rather than simply chasing high returns. Look to build a more consistent portfolio instead of just finding yield for a portion of the portfolio. Laddering continues to make sense. Like all good professionals, we tend to tweak what worked for us until it no longer looks like the thing that was successful. Over the past decade, we have forgotten how to take advantage of rising interest rates. We’ve changed how we position interest-driven products as rates fell quickly after the financial crisis. By laddering your interest-driven vehicles, your clients eventually have all their funds at longer term duration, which should bear a better interest rate in normal yield curve scenarios, but with liquidity staggered throughout the portfolio. We find this is a good strategy for all rate environments, but we tend to get away from it at interest rate peaks. The purpose of the asset must be defined. Many clients tell their financial advisor they want growth with the appropriate level of risk. And, we tend to oblige them with “custom designed” portfolios from a third-party money manager. Instead, let’s change the conversation to “What do you want this money to do for you?” This question has the potential to lead to a more open discussion around long-term planning. If the assets are for retirement, let’s position them accordingly, using strategies that make sense for protecting the longevity of the portfolio. Income is the new outcome which requires more complex analysis as opposed to the highest current interest rate. Adopt to new product development made for this environment. New designs tie returns to a variable interest rate benchmark. As that benchmark interest rate increases, the client’s rate increases the following year. Many will find a three or five-year duration long; however, using laddering strategies can be beneficial in mitigating this risk. We face a lot of challenges as the baby boomer generation continues to leave the workforce toward retirement. If not handled correctly, a rapidly rising interest rate environment makes for a potential portfolio burden that many clients are not seeing clearly. Take time to review the client’s intentions and plan for a rising rate environment over the next several years. Evaluate your bond holdings and plan for a rising rate environment. Your clients are unlikely to see the risks ahead due to recent monetary policy. Put your clients in a position to win. 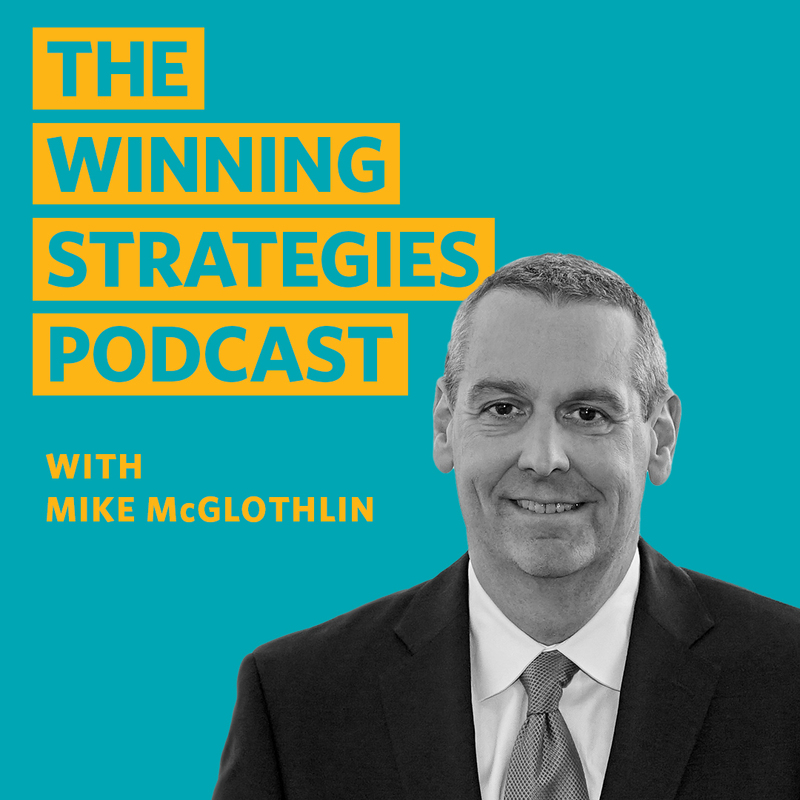 Catch the latest insights from Mike McGlothlin and his guests on his podcast, Winning Strategies. Venture over to listen to breakdowns of topics discussed here and webinar deep-dives that you won't hear anywhere else!